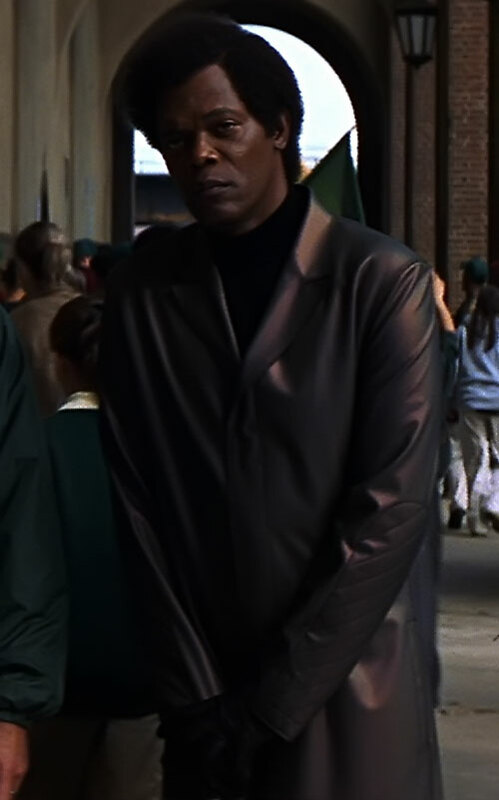 Mister Glass is one of the main characters from 2000 super-hero thriller Unbreakable. He was played by Samuel L. Jackson. 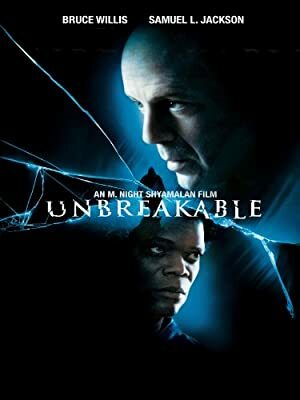 Unbreakable was very well-reviewed, and is considered one of the strongest super-hero movies before the Marvel Cinematic Age strode across the land. This capsule profile includes big S P O I L E R S.
Known Relatives: Mrs. Priest (mother). Height: 4’11″ Weight: 110 lbs. Eyes: Brown, Hair: Black in an afro. Born with a rare disease, Elijah’s bones are very brittle and break easily. Hencethe nickname “Mr.Glass” bequeathed by his schoolmates. Due to his inability to interact physically, Elijah was weaned on a childhood of comic books. That led him to become a knowledge and style specialist in this art field. “Mr. Glass” theorized that if a person with his fragile physique was borne into the world, there must be an opposite; one who does not break so easily. In an attempt to prove his theory correct and uncover an unbreakable, Elijah set about observing news reports of tragedy. Failure with this slow method of investigation drove Mr. Glass to terrorism in an effort to weed out his opposite. An airplane explosion. A blazing skyscraper. A de-railed train. Only the third brought success, one survivor miraculously unharmed. Elijah’s quest to discover his place in the world forced him to contact the unbreakable man, David Dunn. But Dunn’s innate and uncanny ability to detect evil brought Elijah’s terrorism to light. He is currently incarcerated in an insane asylum, plotting his next maniacal scheme against his newfound rival, Dunn. The movie trailer in 720p. Priest wears light clothing with dark colors, typically black with a very flashy purple. Representative of his own fragility, Mr. Glass carries a beautiful, blue glass cane. After falling down a subway staircase, Elijah has been confined to a wheelchair until such time as his bones heal. Calculating and insidious, Elijah is determined to reach his goal without any care as to whom gets in his way. He will stoop to any atrocity as long as it furthers his attempt to discover himself. 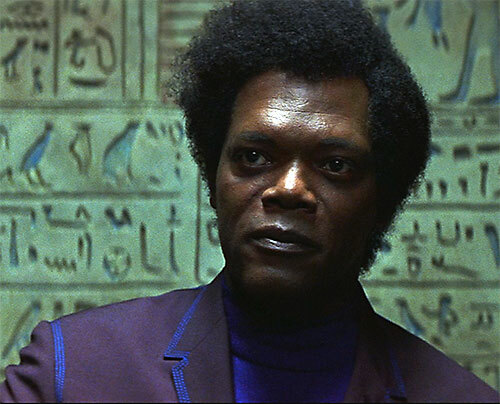 Now that he realizes his role in life, Mr. Glass will ever play the villain to the unbreakable David Dunn. Genius, Scholar (Comic Books), Connection (Comic Book Community, High), Connoisseur, Iron Nerves, Rich Family. Altered Anatomy, Dependents (Mrs. Price – Mother), Catastrophic Physical Restriction (Confined to a Wheelchair due to brittle bones), Attack Vulnerability (RV only, -2 CS vs Physical Attacks). Benefit (Rich Family), Benefit (Wealth), Equipment 8, Fearless, Inventor. I Know Who I Am Spurned by others, Elijah is motivated by a quest to find his place in the world. He seeks self-actualization and exaltation at any cost. Opposite Ends In Elijah’s warped mind, opposition and hatred are a form of recognition and validation. They Called Me Mister Glass Elijah suffers from a congenital bone defect that makes his bones extremely fragile. He used a cane to walk, and after falling down subway stairs, relied on a wheelchair for mobility. Trade-off areas. Attack/Effect PL 0, Dodge/Toughness PL 0, Parry/Toughness PL 0, Fort/Will PL 7. Points total 91. Abilities 24, Defences 11, Skills 43, Powers 2, Devices 0, Advantages 13. Equiv. PL 7. – His nominal PL is 7. Primarily, he is a threat because of his skills, Will, and malice, rather than any direct threat in a fight. Some of his explosive devices would be in the PL 10-12 range.